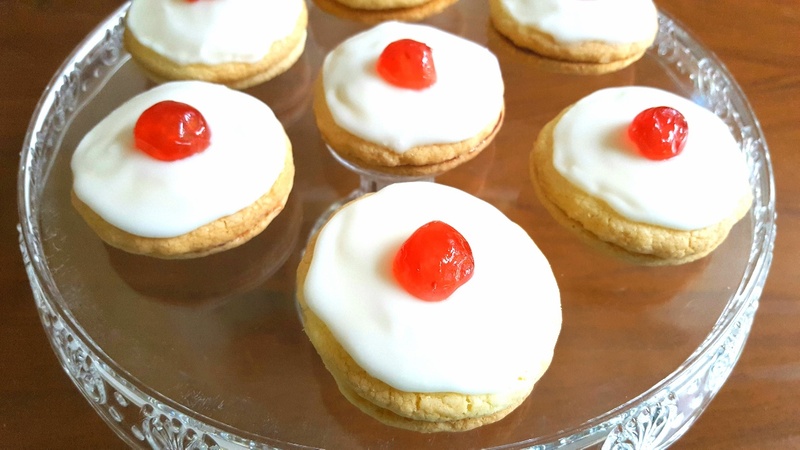 Empire biscuits are very popular in Britain, particularly in Scotland, but they actually originated in Germany and were known as ‘Linzer biscuits’ and ‘Deutsch biscuits’. After World War One, in Britain their name was changed to ‘Empire biscuits’ and that’s how they’ve stayed ever since. In Ireland instead of serving them topped with a glacé cherry they decorate theirs with a sprinkling of desiccated coconut, which I think sounds delicious!